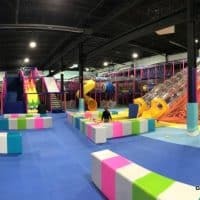 If you are looking for something fun to do with your family on a long weekend, or just looking to get out of town for a day, there are plenty of affordable options in Wetaskiwin, Alberta. 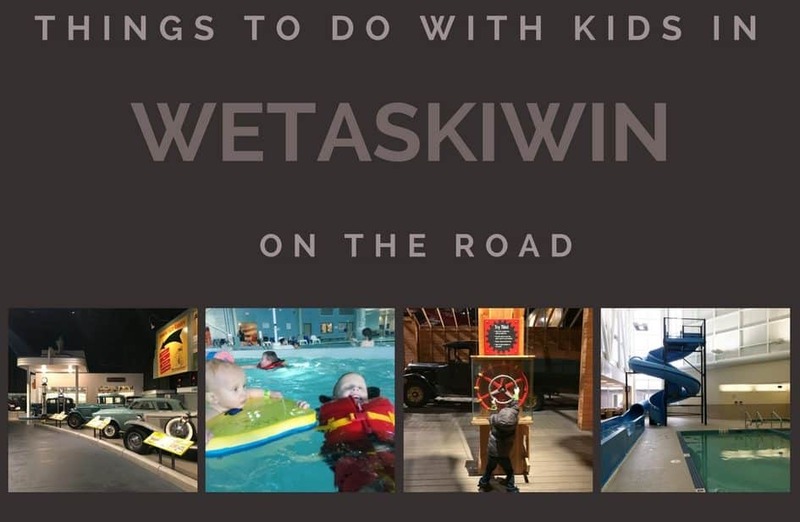 Wetaskiwin is about 2 and a half hours north of Calgary, making it a reasonable drive. 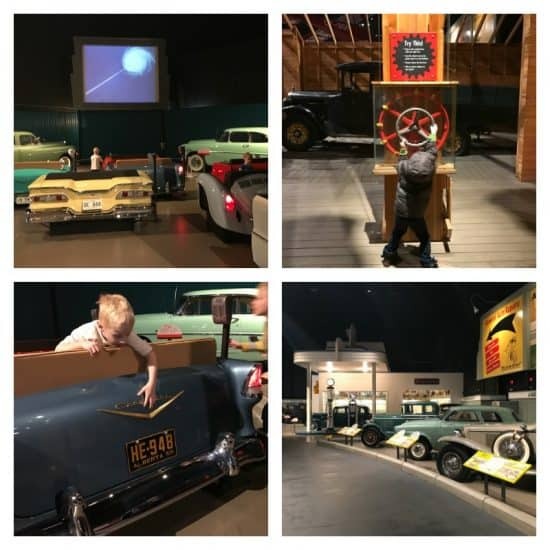 A rare collection of cars, airplanes, and tractors, the Renolds-Alberta Museum is a blast for kids of all ages. There are lots of hands on learning experiences for visitors to explore. Some vintage cars are even open to climb in. Kids enjoy seeing the cars’ manual windows, the non-digital clock on the dashboard, and no seatbelts in the car! The drive-in movie theatre has benches made of back seats of cars. The shows playing are vintage movies (think original Superman cartoons) and the original speakers sit beside the cars. Summer visitors can go for a ride in a bi-plane or take a chauffeur driven tour of the grounds in the vintage vehicles. 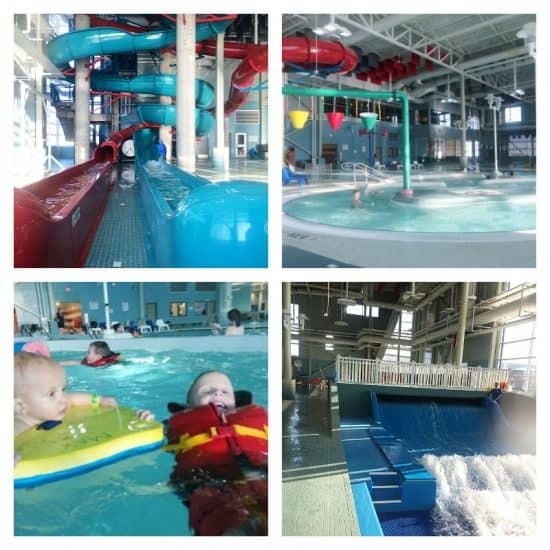 This community aquatic centre is comparable in features to the leisure centres in Calgary, but more fun and more affordable – a family day pass is only $21 (2017). The Board Rider is a physical challenge for anyone over 8 years old. 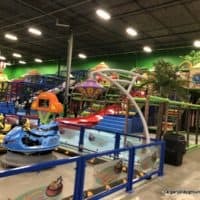 It requires an additional charge on top of admission but the $10 pass is much more affordable than board riders across North America (we paid $75 for a 30 minute session in Arizona). 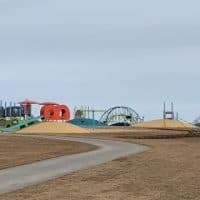 Every family member can enjoy the two waterslides, a lazy river with water features, a leisure pool with a gradual entry and splash pads for smaller kids. 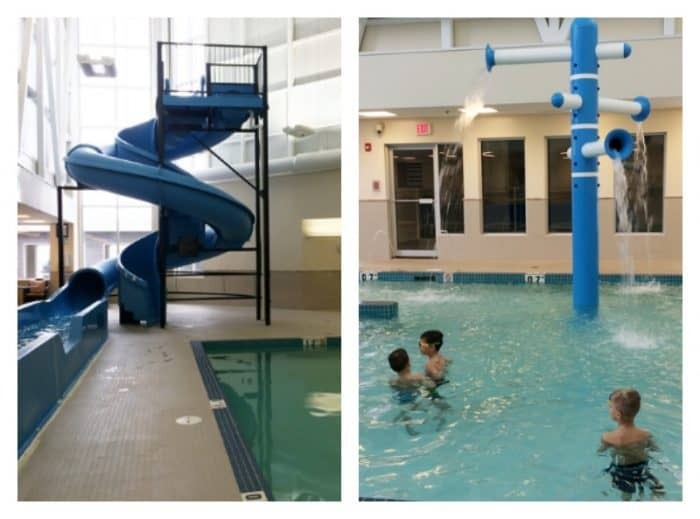 It also has a competition pool with diving boards, a hot tub, and a steam room. Nascar fans come from all over Western Canada to watch the races on Saturday nights at the Edmonton International Raceway, Alberta’s only ¼ mile paved oval. A bucket list item – you can also take a 10 lap test drive in a race car! 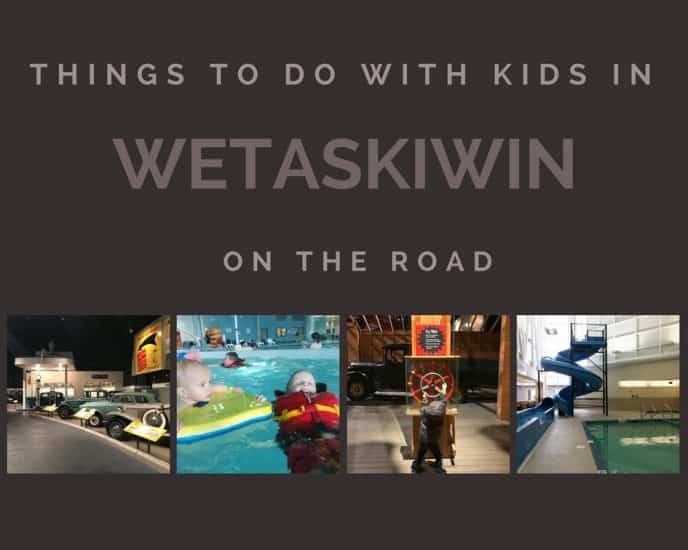 If you are planning to stay the night in a hotel, the Super 8 in Wetaskiwin is a family favorite. The hotel rooms themselves are everything you would expect from the chain, but the hotel pool is a blast for kids. There is a waterslide, pool, splash pool, gradual entry pool for smaller kids, and a hot tub. The breakfast waffles took it up a notch with whipped cream, chocolate chips, strawberries, caramel, and butterscotch chips. This dessert makes this hotel the one your kids will be begging you to take them back to. 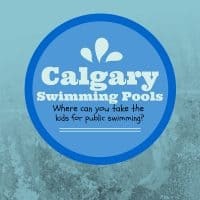 Disclaimer: This post was not sponsored – we just love pools and touring through Alberta.